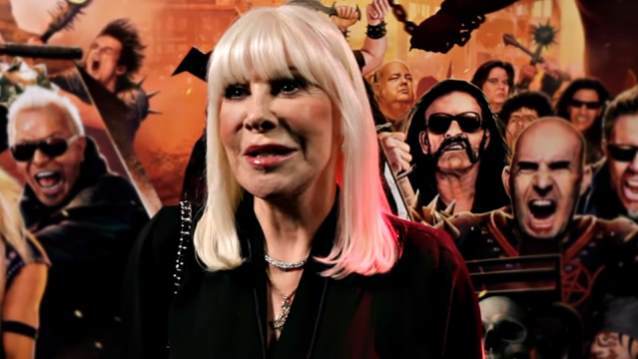 Wendy Dio says that the people that criticize the Ronnie James Dio hologram should at least see it in person before voicing their disapproval. During an appearance on the April 29 edition of "Whiplash", the KLOS radio show hosted by Full Metal Jackie, Ronnie's widow, who is a member of the Eyellusion team, said that a holographic version of Dio makes perfect sense. "I think that Ronnie was an innovator of heavy metal music, so why not be an innovator of technology?" she said. "And I think technology is coming a long way with holograms — a lot of people are doing it now. And I think the reason is because we are losing all of our innovators; everybody is getting older. And we need to keep them alive and keep their memory and their music alive. I think it's a new way. It's like when people first came out with a CD or a cassette: 'Ooh, we don't want that.' But then it was the way of technology." 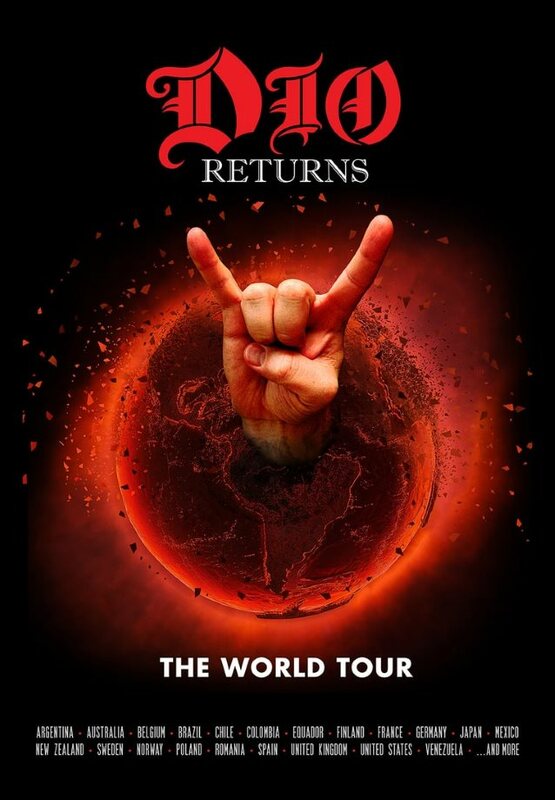 After the tour's initial seven-date run was completed last December, Ronnie's hologram is undergoing "some changes" before the launch of the next leg of the "Dio Returns" world tour, according to Wendy. "We took it out to see if there was an audience for it, because it's been very… some people like it, some people don't; there is a lot of talk about that," she said. "We wanted to see if there was actually an audience for it. And we took it to Europe, and we found there definitely was an audience for it. The people that came loved it. It's a show. It's great to see Ronnie come in… He comes in and out about six times. "I think the people that say, 'Ooh, this is terrible,' should at least see it," she continued. "Don't criticize it if you haven't seen it. It's done with love. The band love doing it. And we just wanna keep Ronnie's memory and his music alive. "We're doing a new hologram now, and we're hoping to come to America in 2019 with that," she confirmed. Based on video footage of the first leg of last year's tour, Dio fans had mixed reactions to the a hologram of their favorite singer, with some loving it and others thinking the performance didn't live up to the real thing or that it was just plain creepy. Back in January, Eyellusion CEO Jeff Pezzuti posted a message on the company's official web site thanking fans for their support and underlining the project's goal of sharing the gift of Ronnie's music with future generations. "It's not easy to be the first to do something in an industry that doesn't change all that often," he said. "But we're fans first. We had a vision that the music that has helped form the foundation of rock and roll should be passed down for generations and generations to enjoy. In the current business climate, that means live tours. After all, there's nothing quite like leaving everything behind for just a night to join fellow fans for an unforgettable experience. It's about the sound, the lights, the memories — just getting lost in the moment."